you know i love socks. and disbelieve me on that? y'boi is out here with his feet totally wrapped in stretchy fabric. i've gotten socks as gifts before. and my toes were psyched to have the consideration. 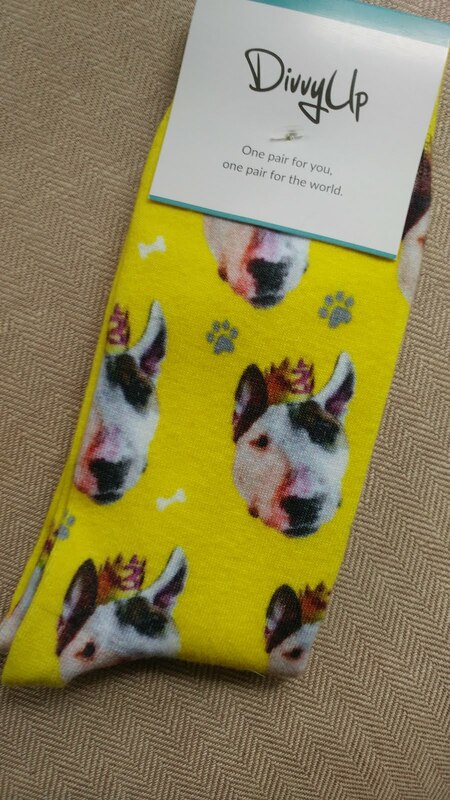 i just got a pair of THE most thoughtful and well-intended socks. what's better than my best boi on some happily printed woven foot-tubes? where did these little tootsiewraps come from? that beautiful baby-mama knows me well. it's righteous and rewarding and she makes me feel F*ing awesome. these just showed up out nowhere. for my large leg-end flippers. but i'm pretty sure i know what kindness feels like. now, do i even deserve little treats? i'm on the fence, personally, as i know myself better than most, i thik. i do feel lucky that i was in somebody's thoughts. enough so that they did something about it. just because they know he's important to me. i think it'd be weird to get her a sweatshirt with a picture of me on it. and make it look like i had a picante rash condition or somethin'. and explicitly contentious about what the future is lookin' like. chilled to the bone and about as tired as anybody could be.